‘Daredevil’ Set Pictures Show New Romance for Matt? 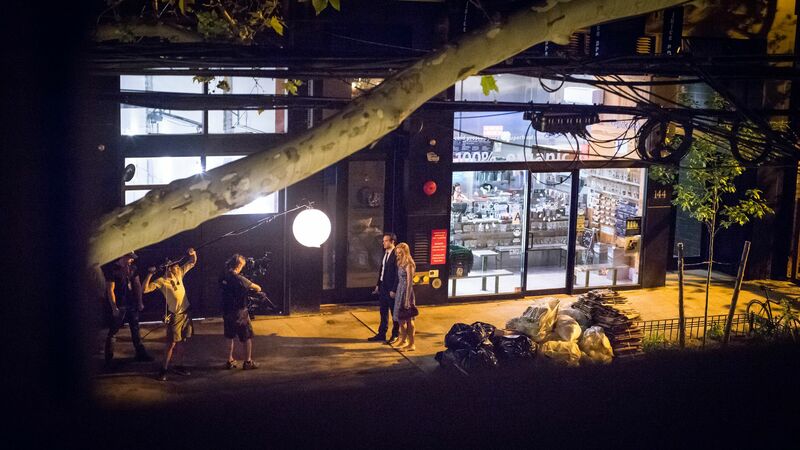 Romance did not play a large factor in Season 1 of Daredevil, other than the dark affair of Wilson Fisk and Vanessa, and the odd kisses between Matt and Claire, but a photo from the set of Season 2 shows two of the main characters – Matt Murdock (Charlie Cox) and Karen (Deborah Ann Woll) – holding hands, ComicBookMovie reported. There were some hints in the previous season that the relationship might stem beyond the platonic, especially from Karen’s side, and in the comics Matt and Karen are involved in a long-term romance. But then the casting of Elodie Yung as Elektra, another one of Matt’s love interests, could cause a dent in this new romance. Marvel’s Daredevil season 2 will stream on Netflix in 2016. What do you think of Matt and Karen as a couple?